People at home want to make an amazing meal without losing their place in the recipe, or damaging an old cook book with greasy fingers. People use a lot of time looking through the 300 recipes of a cookbook to find the dish they want to make. Also, there is a lot of hand washing in-between handling the recipe and cooking especially if the dish is messy. An app that allows you to store cookbooks and recipes from online or custom recipes that the user inputs into a form. Then, after doing a quick search for the specific recipe, the user can send the recipe to the wearable tech. The wearable used for this app is the Moto 360. The recipe is then divided by each verb into quick, simple steps. All the user has to say is "Start, Next" to go to the next step. There are also pre-programed timers in the recipe that start when the user says "Start, Timer". We quickly puzzled together that the concept of quick instructions that are easy to read on the Moto 360 could be applied to make other tasks have a hands-free, instructions-free experience. DIY: The user can download instructions for a project straight from Pinterest. Ikea: Ikea could format the instructions to their products through Next (Ikea powered by Next), and all the user has to do is scan the bar code for the digital instructions. Next is now a solution that can reach out to other companies and apply the same concept. It can also make it's own apps to expand the "next" brand. In order to get Next Chef to work on the Moto 360 Wearable, the user must have a database of their recipes and cook books. Here people can create their own cookbooks, build recipes, favorite recipes, and send recipes to use on their Moto 360. The Icons above will notify if the recipe has gluten, meat, eggs, or dairy. If there is a line through the icon, then the recipe doesn't have that food type. From the app, users can search recipes, create their own cookbooks to save their favorites, and add their own dishes using an easy form. Once the recipe is sent to the Moto 360, that is where the hand-free experience begins except for scrolling through the needed ingredients. To go through each step the user must say "start next" to see the next action. This keeps everything easy to manage and less time is wasted scanning through a recipe looking for where you left off on a flour-dusted iPad. The project was conceived during the 2015 Texas State Hack-a-thon. 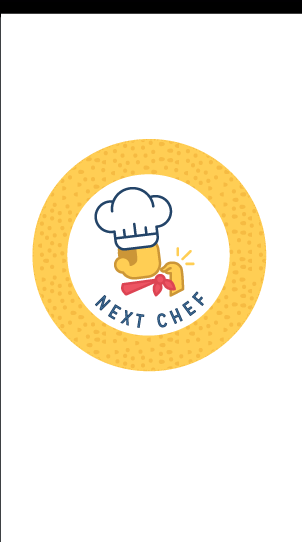 Chelsea Ceasor and I designed Next Chef. Madison Hanusa, Anastasia Jewell, and Brock Brumley coded Next Chef. Thanks to Yorlmar Campos for the use of your icons from the Noun Project in our time of need. Now, most have been redesigned a bit by Chelsea and I. Thanks to Carl Hauser for the sleek Moto 360 mock up.